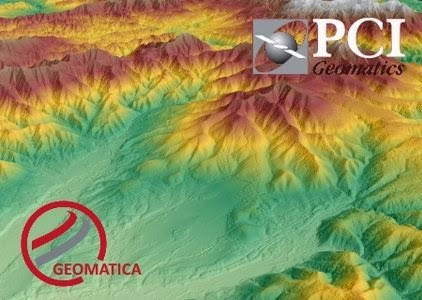 PCI Geomatics, a world-leading developer of remote sensing and photogrammetric software and systems, the release of Geomatica 2014; the latest version of the company’s complete and integrated desktop image processing software featuring tools for remote sensing, digital photogrammetry, geospatial analysis, map production, mosaicking and more. The release was announced at an exclusive meet and greet that featured presentations and demonstrations of the latest features of the software. New features in Geomatica 2014 include: Live DEM Editing, which lets users to see and edit DTM errors on an automatically updated live ortho preview; Smart Geo-fill, which facilitates the retouching of ortho-mosaics while maintaining full geo-referencing, channel combinations and bit-depth; and Python Scripting, which allows for customizable scripting to combine image processing with other tasks to streamline data management applications, generate intelligent business products, or customize output for a variety of GIS applications. PCI Geomatics is a world-leading developer of software and systems for remote sensing, imagery processing, and photogrammetry. With more than 30 years of experience in the geospatial industry, PCI is recognized globally for its excellence in providing software for accurately and rapidly processing satellite and aerial imagery. There are more than 30,000 PCI licenses, in over 150 countries worldwide.